This beautiful necklace from the Mantra collection is made from 925 Sterling Silver. 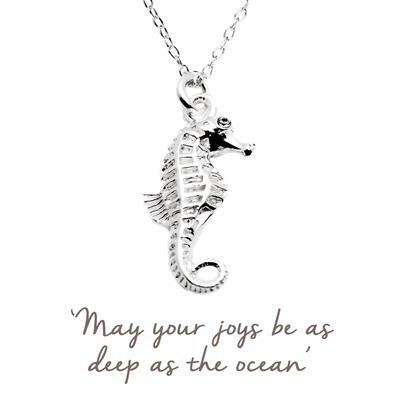 Happy to peacefully roam the seas, the affable seahorse is a symbol of contentment. This necklace reminds the wearer to find profound happiness in all areas of life, so that their joys may be as deep as the ocean.